The Central Bank of Egypt will most likely keep interest rates unchanged during its upcoming Monetary Policy Committee (MPC) meeting on Thursday, a number of economists have said. Deposit and lending rates are currently at 16.75 and 17.75 percent respectively. Managing Director of Multiples Group Omar El-Shenety says that despite the easing of inflation, a wave of price increases is expected in fuel and electricity, in addition to the latest public transportation price increases. “The application [of price increases] will be aggressive,” says El-Shenety. The increases are part of Egypt’s economic reform programme and will be driven by the increase in oil prices to over $70 per barrel, says El-Shenety. Global changes indicate that rates will remain unchanged, El-Shenety added. A stronger US dollar means the CBE would not cut rates to keep the Egyptian market attractive for portfolio investors, according to El-Shenety. “The US dollar is gaining ground,” El-Sheney told Ahram Online, adding that this is due to the US Federal Reserve raising interest rates and signaling it will raise rates further. A strengthening of the US dollar means a lot of funds are not going to emerging markets anymore, but are kept in the US. Given a global trend of emerging markets raising rates to make their currencies more lucrative, the CBE is not likely to cut rates in order to prevent portfolio investors from fleeing to other markets. Economist Riham ElDesoki also expects the Central Bank will not change interest rates. ElDesoki says her expectation is based on the resilience in inflation changes. ElDesoki adds that the CBE also needs to assess the impact on the market of cutting interest rates twice since February, as well as the expected inflationary impact of the restructuring of energy subsidies in early summer. Pharos Holding Chief Operating Officer and Chairman of Asset Management Angus Blair agrees that inflation rates are not likely to change, ahead of fuel and electricity subsidy cuts. However, CI Capital senior economist Hany Farahat expects a cut of 1 percent. “I do not think the seasonal noise surrounding inflation on the back of Ramadan, higher metro tickets, or higher oil prices should impede the CBE from progressing with its monetary easing plan,” Farahat told Ahram Online. 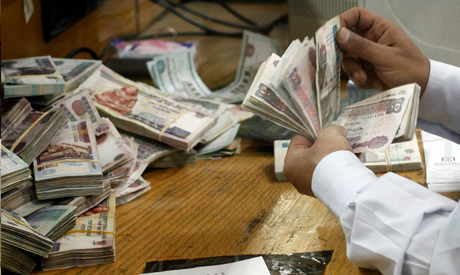 Egypt’s annual urban consumer price inflation had slowed to 13.1 percent in April from 13.3 percent in March. Annual core inflation remained almost unchanged, recording 11.6 percent in April, compared to 11.59 percent in March, the CBE said. April’s annual headline inflation easing was a slight decrease compared to the sharp fall in March (from 14.4 percent to 13.3 percent). Indeed, April numbers showed a higher monthly inflation figure of 1.5 percent compared to 1 percent in March. After October 2016’s floating of the Egyptian pound, the CBE raised key interest rates by 700 basis points in order to control inflation, then moved to cut rates by 200 basis points in February as inflation eased. Annual headline and core inflation peaked in July 2017 at 33 percent and 35.3 percent following energy subsidy cuts.